Propertyfinder Group, a real estate listings portal, expects the boom in Dubai residential off-plan sales to continue at least until year-end as buyers take advantage of less onerous payment plans and a greater choice of projects. 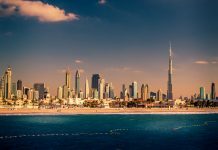 Data shows median residential prices in Dubai fell 20% from November 2015 to April 2017, extending a slump that began two years earlier as the strong dollar and weak oil prices weighed on investor sentiment. Those headwinds have done little to blow developers’ sales off course this year, however, with Emaar Properties and DAMAC Properties – the two major developers to publish detailed information – reporting a transaction boom in the first quarter of 2017. “Since December 2013, expat buyer of completed properties must put down a cash deposit of at least 25% and they also need a minimum extra 6% to cover the various fees,” says Propertyfinder Group CCO Lukman Hajje. Emaar sold 6.05 billion dirhams ($1.65 billion) of Dubai property in Q1 – up 44% from a year earlier – as it launched seven projects totaling 2,923 units in the emirate. Rival DAMAC, Dubai’s largest privately-controlled developer, booked Q1 off-plan sales worth 2.2 billion dirhams, up 11% year-on-year and 29% higher than in the final quarter of 2016. Off-plan properties are discounted relative to completed units and accounted for about half of all Dubai residential property deals in 2015-2016, according to Reidin. “In theory, buying off-plan allows investors to take advantage of historically low Dubai property prices for a very low cost and a get a foothold in the market, but this strategy does not come without risk,” says Hajje. 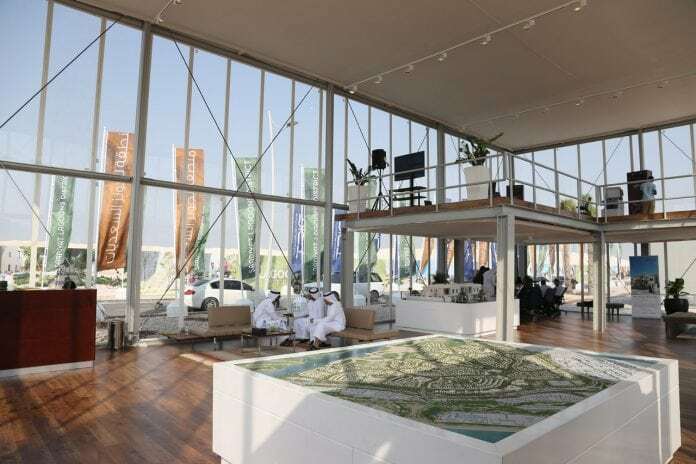 As market leader, Emaar demands some of the toughest off-plan payment schedules. For example, an investor in Downtown Views II must pay 70% of the unit cost during construction, with the final 30% due upon completion, scheduled for December 2020. Other major developers offer a little more leeway. 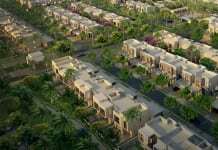 DAMAC’s Casablanca Villas, part of AKOYA Oxygen, and launched in May, allows buyers to pay 60% of their property’s cost upon completion, as does Dubai Properties’ Mudon Views, with one-bedroom apartments starting from 766,000 dirhams. But it’s the smaller companies that promise the best terms of all. For example, Danube’s Bayz, a 29-storey residential tower in Business Bay, requires payments totaling 25% in the first 120 days. 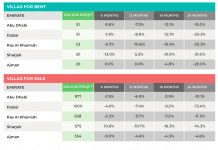 Then from October 2017, buyers pay 1% a month to December 2023. GGICO’s Topaz Premium Residences in Silicon Oasis allows for 30% payment up to handover, with the remaining 70% paid over three years following completion. Propertyfinder’s Hajje cautions potential buyers to be aware of potential difficulties in securing financing. 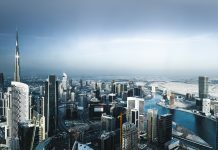 Nevertheless, consultants Cluttons predict Dubai’s off-plan market will remain upbeat despite predicting in a recent report that sales prices will fall a further 5% correction. “The emergence of favourable payment plans continues to tempt buyers and perhaps investors to a greater extent,” Cluttons wrote. That outlook is partly due to many banks now offering some sort of under-construction financing, although this is mostly limited to a specific list of developers on which the lender has completed due diligence. Unsurprisingly, banks favor the master developers such as Emaar over independent sub-developers. Banks are also more willing to lend the closer to completion a project gets – at final payment and hand over stage, banks that weren’t financing during construction become involved because the risk is lower. During Ramadan, it has become customary for some developers to announce special offers and this year has been no different, but unlike previous years’ ostentatious promotions promising a sports car or bar of gold, companies seem to be making a more practical appeal to potential buyers. DAMAC has offered discounts of up to 500,000 dirhams on ready-to-move-in properties until June 30. These include apartments and villas in DAMAC Hills, Jumeirah Golf Estates, the Burj Area, Jumeirah Lakes Towers and Jumeirah Village Circle. DAMAC will also pay the Dubai Land Department registration fee of 4% and provide other perks such as free packing and moving. Meanwhile, Dubai Properties, whose mid-range projects such as Mudon and Remraam have proved popular with owner-occupiers seeking more affordable homes, is offering a 50% discount on Land Department fees during Ramadan.